I sat down amid a crowd of about 50 social media enthusiasts, communications strategists, nonprofit organization staff and a range of other professionals ready for an open conversation about the ways social media can be put to work for Philly’s local nonprofits. This month’s presenters were the Philadelphia Museum of Art, SEPTA and Friends Council on Education. Each organization gave us an inside look at their social media platforms, their stats and their strategies. We, the audience, gave our feedback and offered suggestions. I really enjoyed the honesty of the presenters, which facilitated the conversation. All too often, organizations are afraid to lay bare their strengths and weaknesses — but we can’t all be great at everything! The PMA was up first, asking how far in advance to post information about upcoming events, and how often is too often (or not often enough) to issue reminders. There was a bit of a split in the room, with some audience members discounting social media as a way to build an audience for events while others were heavily in favor of Facebook and Twitter as the first place to go to with an event announcement. I’m definitely in favor of getting the message out on all your platforms — post it, share it, make an event, get reminders out there or even spend a few ad dollars (check out our post on How to Stretch Your Facebook Ad Dollars). Don’t post about your event every week- you run the risk of seeming too self-promotional and turning off your base- but when you have 61K+ followers the way the PMA does, make sure you are updating your fans with what’s going on! Friend’s Council on Education is a nonprofit, national organization that assists Friends schools, teachers, students and families. They do not currently have a presence on social media, not even a Facebook page. However, they have a community built up on their website’s online forums. Deborra Sines Pancoe, the organization’s associate director, asked what kind of posts would be effective if they were to start using a platform such as Facebook, which led to a great discussion about repurposing content. I walked out of the meeting with a few filled pages in my notebook and feeling reaffirmed that social media can never be one-size-fits-all. That’s the beauty of an event like Philly NetSquared — it brings together a varied range of needs and ideas to push us all into thinking in a different way. Want to learn more? 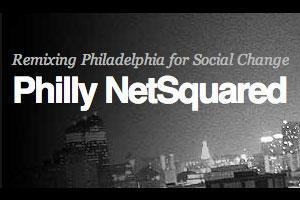 Visit www.phillynetsquared.org. Meetings are the first Tuesday of every month.